Get reading First and Second Graders! The Sunshine State Young Readers Award Jr.
is a new program designed specifically for the primary grades reader. Students are encouraged to listen, read them in a small group, read independently or be read to or with; to develop skills in fluency and comprehension. Students who have read three or more books are also eligible for increment book tags and other incentives. To verify student completion of books, parents sign a reading log that will be sent home in student class folders. When students have read three books, they may bring their verified sheet to media and receive their tag/incentive. 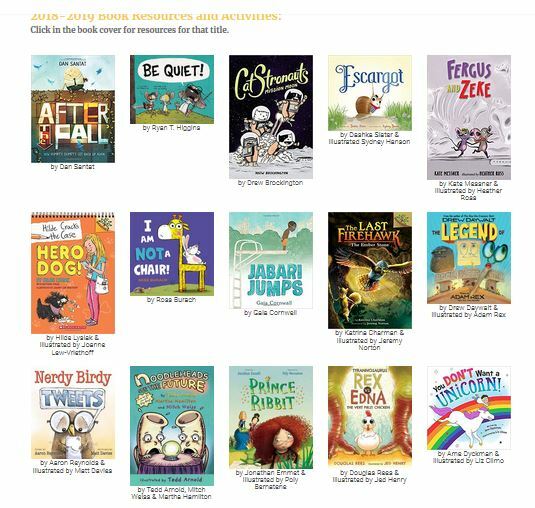 First and second grade students will be eligible to vote in the spring after listening/reading at least three of the books. The “winning vote” author and illustrator will be recognized at the annual FAME conference in Orlando. Parents share a couple of these books with your child each month! Each of the titles are available in our school library and the St. Johns County Public Library.